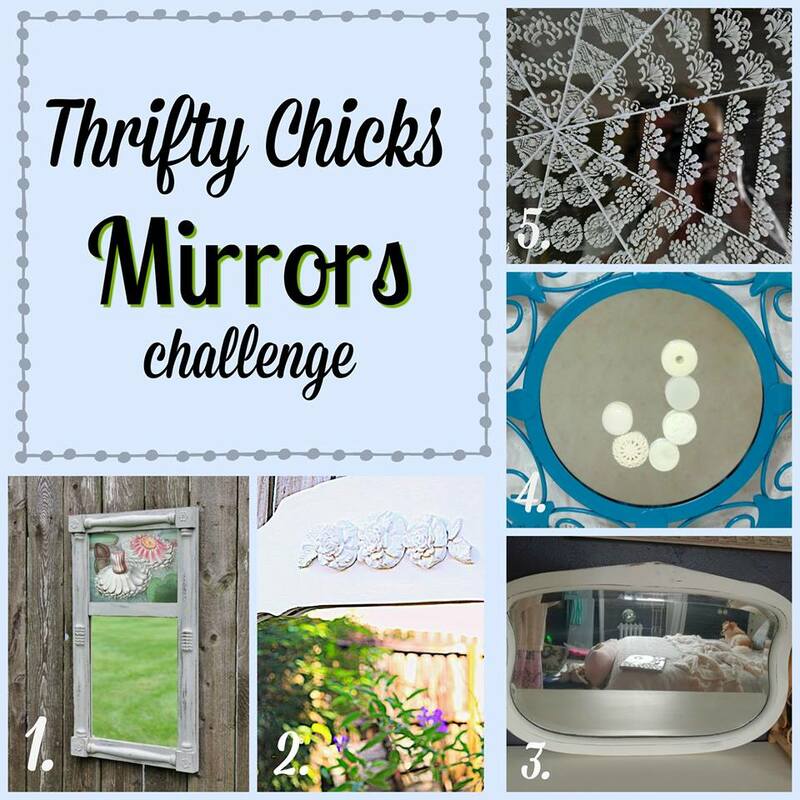 It's time once again for another Thrifty Chicks challenge! These monthly challenges always seem to come around so fast, it feels like we just finished our last challenge! 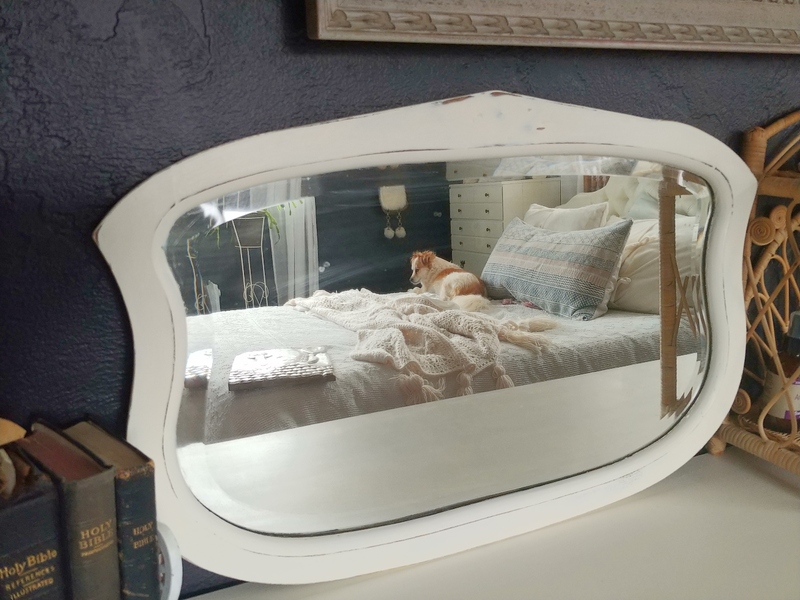 If you are new here the Thrifty Chicks are a group of blogging friends and each month we challenge ourselves to some sort of upcycling project. 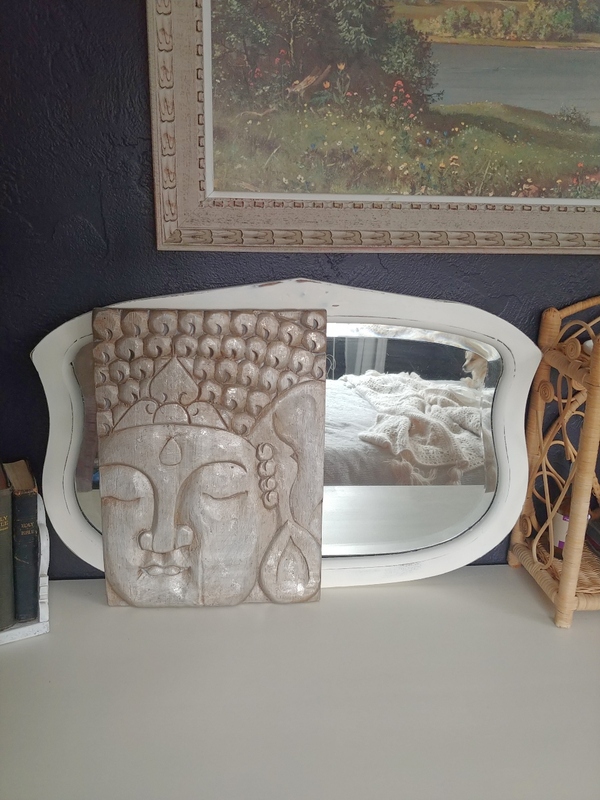 It's usually a themed project (this month's challenge is mirrors) and then we share our results on our blogs! 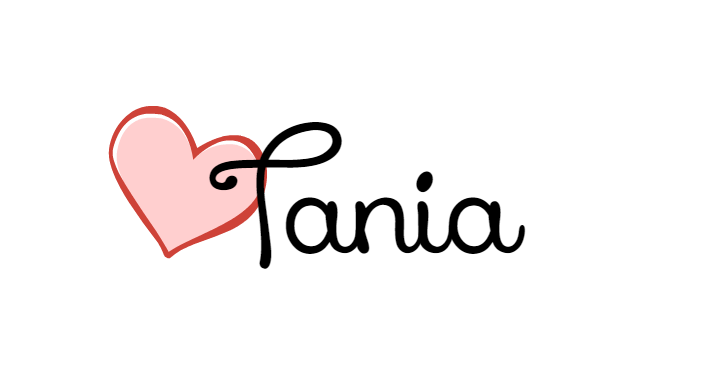 I struggled with this one a little bit. 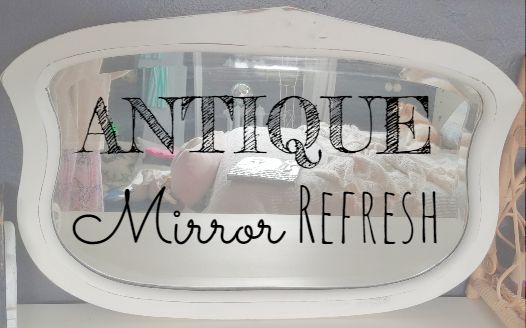 Like I said, our theme this month was mirrors and I just couldn't come up with anything to do with a mirror except give one a refresh! 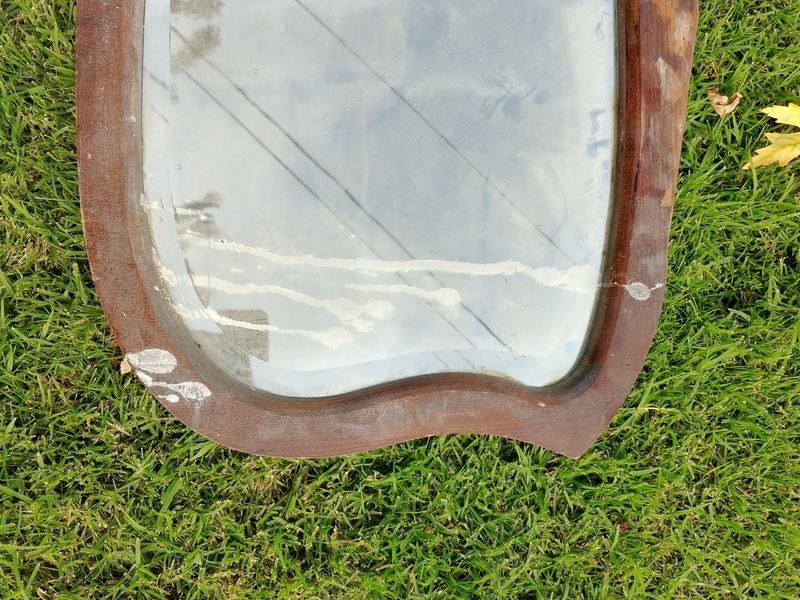 I picked up this old mirror at a yard sale a couple of years ago not because I needed a mirror or anything but because it was only $1 and I could tell it was pretty old. It's been taking up space in my garage ever since! It was very dirty and had something (very much resembling bird sh*t 😲) on one side. 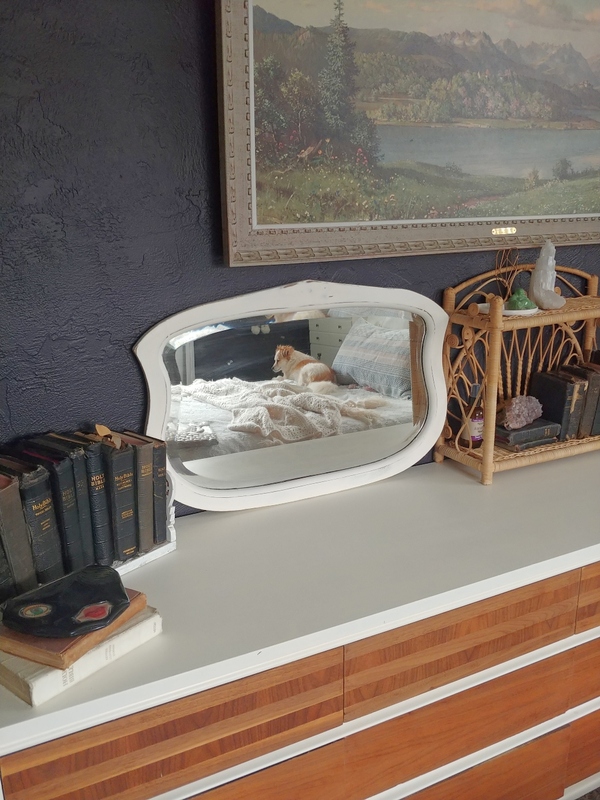 But I could see beauty with the softly curved edges and a beveled edge on the very thick and heavy mirror. 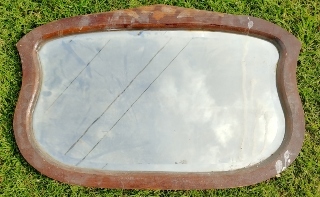 The mirror has that old, mottled appearance that I just love too! 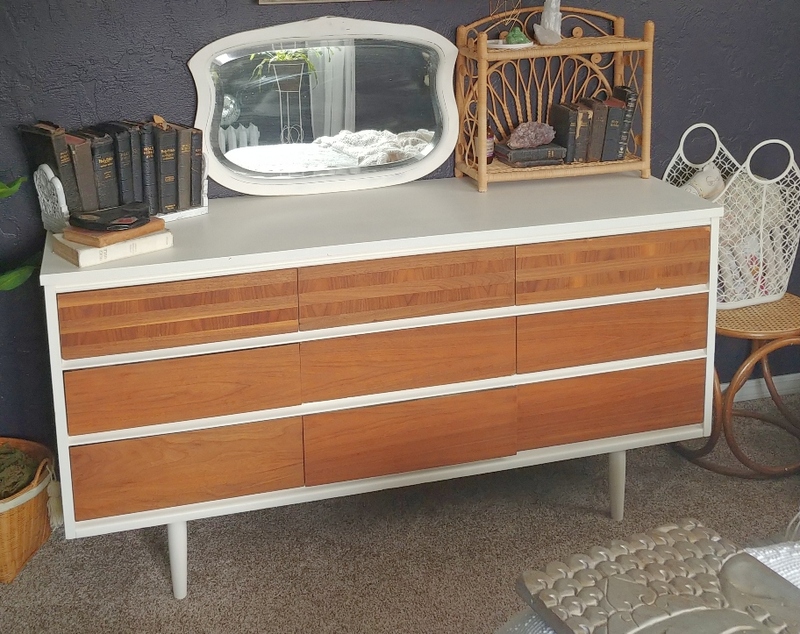 I gave it a coat (or three) of Glidden Country White paint and once it was dry sanded it all over for that lovely distressed look. 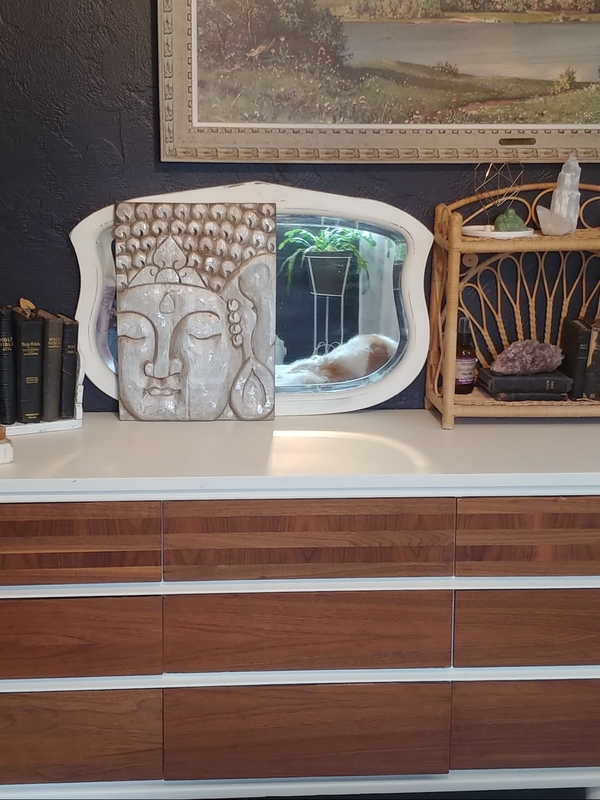 It's a very simple but effective makeover and I love how it turned out! It's on my dresser in my bedroom now. 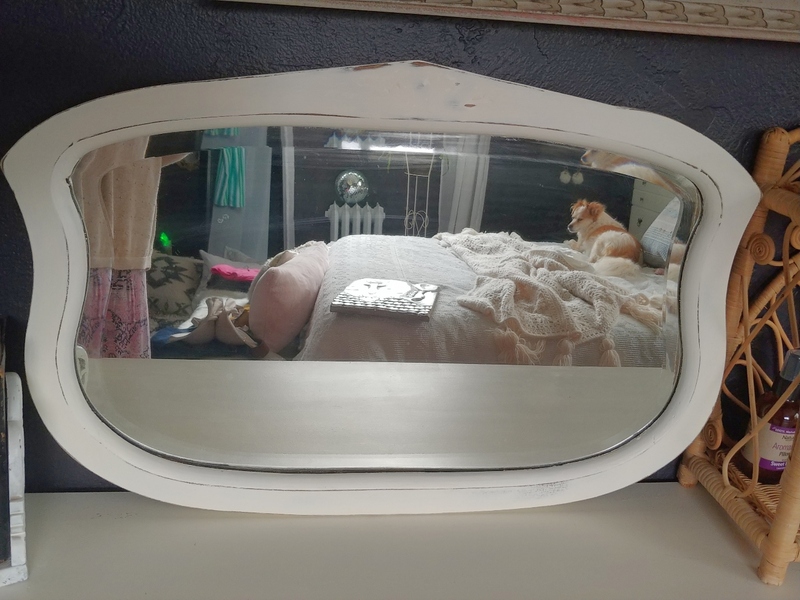 I love mirrors and I have quite a few of them... I seem to have a thing for them and pillows! 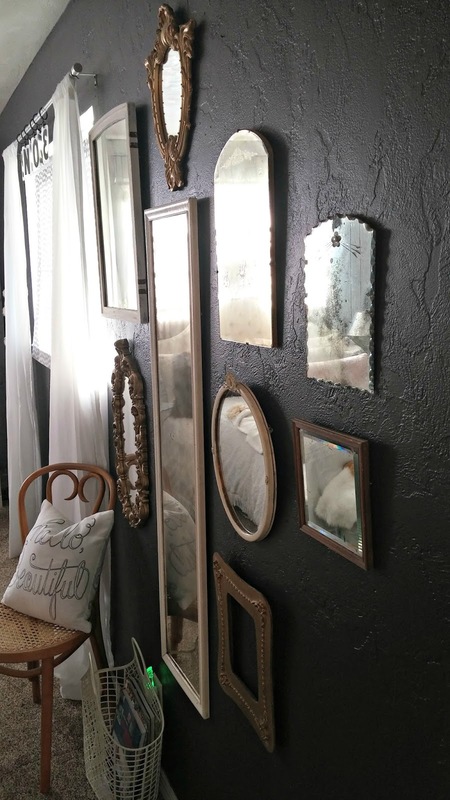 Or group them on a wall for a beautiful focal point! They help make a dark room feel lighter by reflecting the light. See the previous challenges HERE!